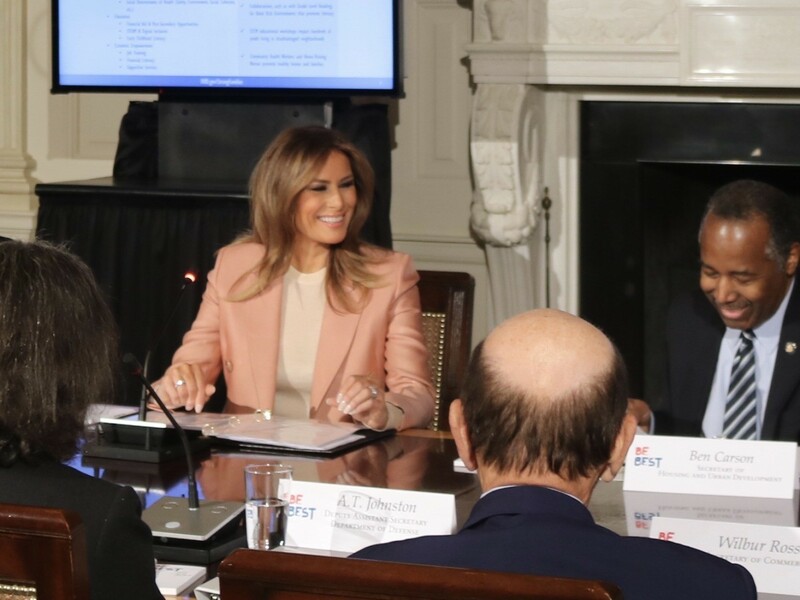 First lady Melania Trump listens to reports from top Trump administration officials on youth programs (Credit: Michelle Moons/Breitbart News). The first lady’s office informed reporters that they chose to reconvene the pre-existing working group that had not been engaged effectively for many years. It provides the first lady with a resource to learn of potential agencies to partner with, as they fit into the three pillars of her Be Best campaign. Health and Human Services Secretary Alex Azar chairs the working group and gave a brief history of the group before turning the meeting back over to the first lady. 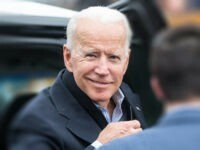 He praised her timely Be Best initiative, particularly as it has steered the group on issues of opioid abuse, well-being, and social media use. Education Secretary Betsy DeVos shared some of her department’s youth program initiatives that encourage children’s peer relationship building and specifically the Positive Behavioral Interventions and Supports (PBIS). 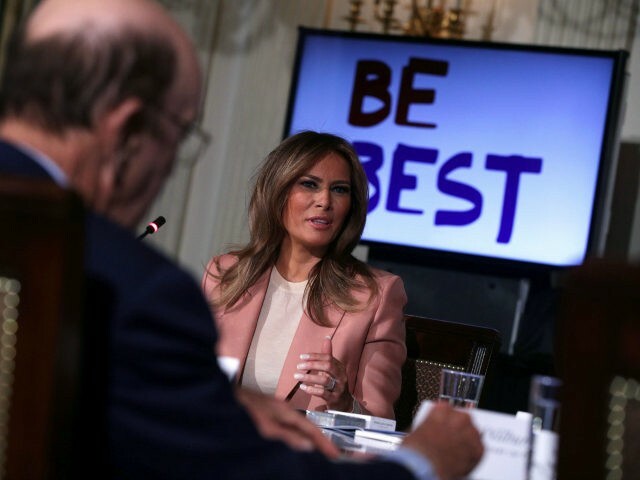 The first lady gathered the Interagency youth programs working group to hear of programs that Be Best may partner with as part of their existing pillars (Credit: Michelle Moons/Breitbart News). 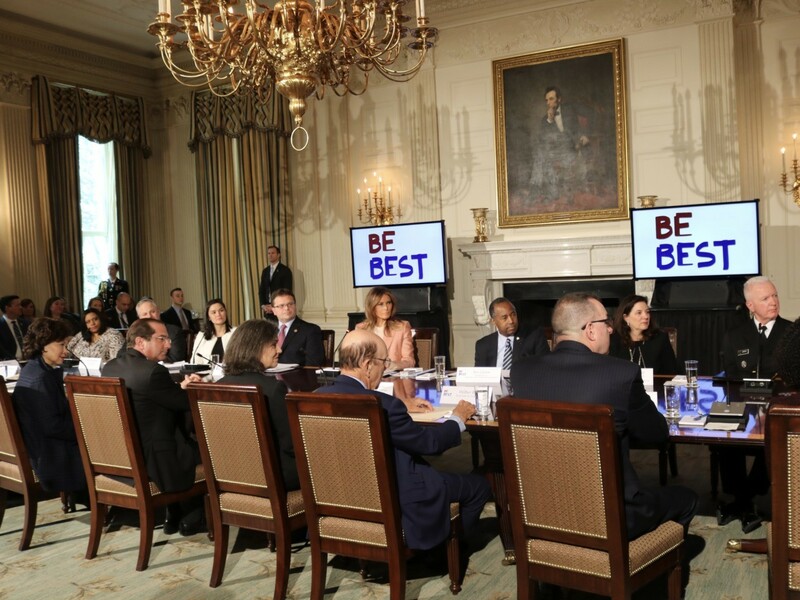 Secretary Ben Carson lauded the first lady’s work through Be Best to prepare the next generation. “A neighborhood’s heart and soul are its strong families,” Carson said, promoting his agency’s strong families initiative. He described the program as promoting health and economic empowerment in communities, among other arenas. He added that there is an initiative to promote strong fatherhood, with goals that include reducing incarceration and increasing employment. “Books opened up more doors for me than anything in my life except God,” Carson told the group as he described a books program and emphasized the integral role of books in children’s success into adulthood. The first lady called Secretary Carson’s story inspiring and reinforced the importance of supporting children. A Ready to Help game presented to the first lady was described as fostering children’s awareness of how to deal with crises, including emergencies and disasters. FEMA Acting Administrator Peter Gaynor described its benefits to the first lady and explained that it is a free resource to help children. Mrs. Trump impressed the value of such a game by citing the recent deadly tornado in Alabama and the importance of children being prepared for these emergencies. Mark Green, administrator for the U.S. Agency for International Development, emphasized spending on child health programs, as children who are not strong and healthy “can’t take advantage of educational opportunities.” He spoke of the Trump administration’s desire to expand child health programs that have saved the lives of 4.6 million children globally, primarily in sub-Saharan Africa.